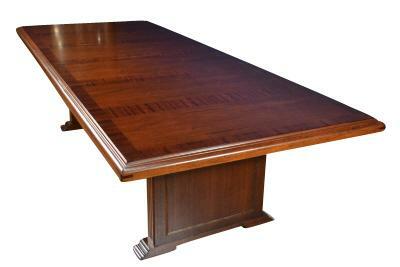 High end mahogany conference table expands from 81-140 inches and seats up to 14. 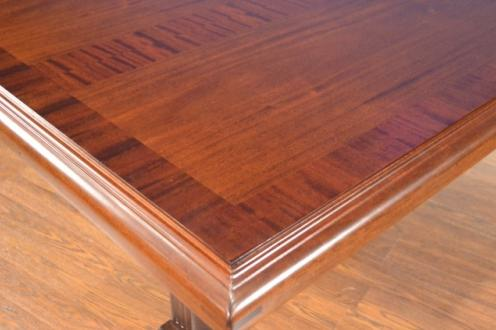 High end mahogany conference table with straight grain mahogany banding. Expands from 81-140. Description: This conference table is constructed with a combination of cathedral mahogany, straight grain mahogany in the bands, and a solid mahogany edge. The table starts at 81 and with the help of leaves is expandable all the way out to 140 inches. This table will comfortably sit 8 people when closed for those smaller office meetings, all the way up to 14 people comfortably if you really need to get down to business. 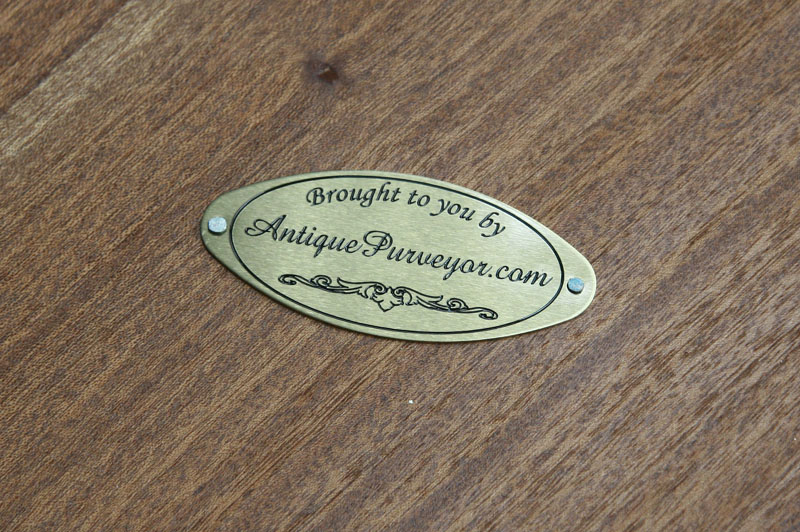 You may find mahogany conference tables that are more expensive, but you'll be unlikely to find more quality. This table will impress any executive that sits at it.